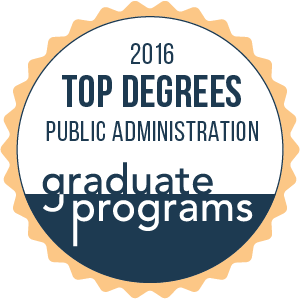 Best Colleges ranks CSUN’s MPA program in the top 25 nationally, alongside Northwestern, USC, and John Hopkins. Our program’s practice-based curriculum lets you combine fieldwork with current public sector theory, and gives you the solid business fundamentals to transform any organization into an active, healthy enterprise. Distinguished CSUN faculty draw from their deep professional experience in the sector to provide you with a real-world skillset for immediate use in the workplace. To fit your busy lifestyle, we let you choose how to attend: online, on-campus, or at one of our many offsite locations. And we only schedule two courses per semester. 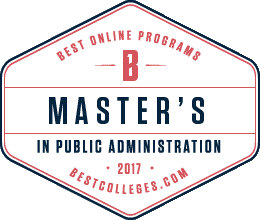 That way, you can keep your current obligations, professional or otherwise, and still earn a master’s degree in only two years. By clicking submit, I am giving California State University, Northridge express written consent to contact me by email, phone, and text at the number and email provided. I understand and agree that these communications may be generated using an automated technology.